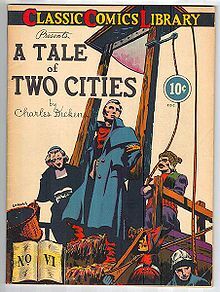 Despite the complicated and sad plot, A Tale of Two Cities by Charles Dickens, is well worth reading, especially for those not that familiar with the great story of the French Revolution. With starving peasants being completed ignored by the aristocracy, the French Revolution explodes. A woman named Madame Defarge, the wife of Dr. Manette's former servant, leads the revolutionaries storming the Bastille. Taking place in late 1700s Paris and London, King George III is preoccupied with England's colonies in America and Louis XVI is basking in his own luxury. A man named Jarvis Lorry is traveling from London to Paris on business when he encounters the ghostly apparition of Dr. Manette, a physician who has been wrongly imprisoned for 18 years and was an acquaintance of Lorry. Lorry is traveling with the son-in-law of Dr. Manette, a man named Charles Darnay, who is thrown in prison along with many other aristocrats. Manette is convinced he can rescue Darnay out of the prison where he was holed up for all those years. But Defarge is particularly focused on keeping Darnay imprisoned. 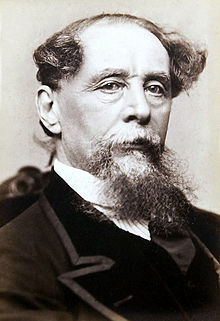 The intertwined plot and slightly confusing characters within one of Dickens' top books make for a bit of a tough read, but the historical nature of the fiction gives the reader an unbelievable feeling of what life must have been like in those terrible and world-shaping years across the Atlantic Ocean from us.